ATGATT! 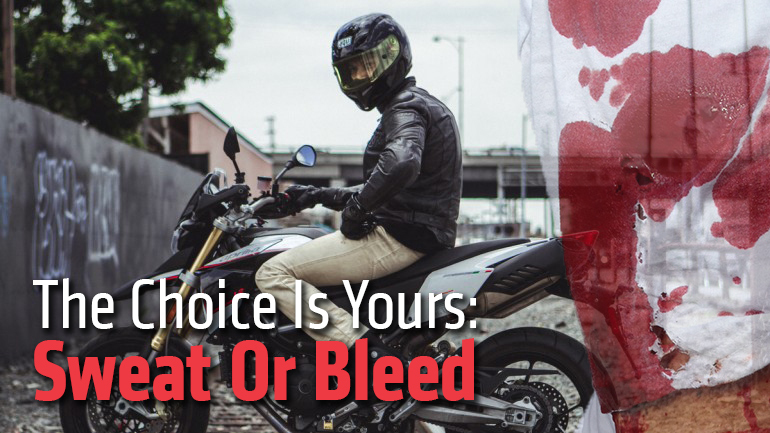 All The Gear, All The Time is a way of life while on two wheels. Please get the word out! It was over 100 degrees out that day, so a friend who’d just started riding decided it would be a good idea to ride to work without his jacket. Long story short, it wasn’t. Especially when he t-boned a car at 35mph. Here’s grizzly proof that getting a little hot in full gear isn’t such a bad idea.